Punctuation marks and math symbols organize and bring meaning to our language. Without them, we wouldn’t be able to simply execute complex calculations, let alone communicate basic ideas. Below, we’ve assembled a math and grammar tattoo dictionary which explains the meanings behind these symbols as tattoo designs. Dash: the dash is traditionally used to separate two parts of a sentence. 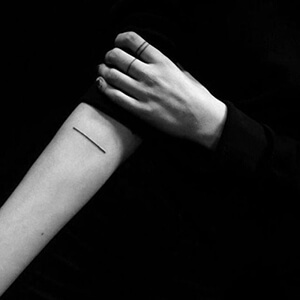 As a tattoo design, the dash represents the leap from one thought to the next, or a person’s stream of consciousness. 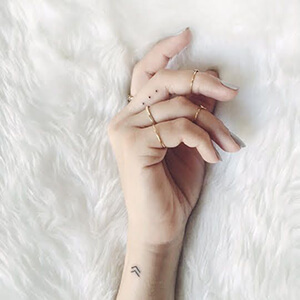 Ellipsis: these three dots symbolize a continuation of an event. They can also represent infinity. 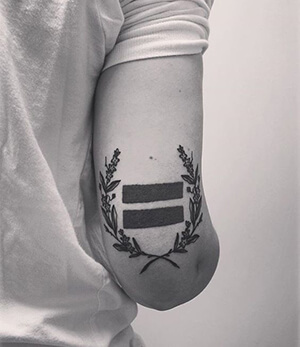 Equal Sign: this math symbol also stands as a gay rights sign, advocating for equal marriage rights. Exclamation Point: this punctuation mark typically expresses emphasis or excitement in a sentence. 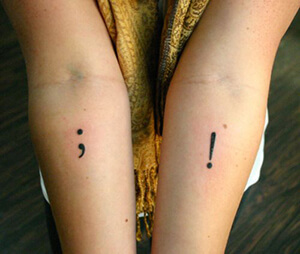 As a tattoo design, exclamation points represent the wearer’s general excitement in life or their enthusiastic personality. Infinity Symbol: as it does in math equations, the horizontal ‘8’ symbol represents eternity. 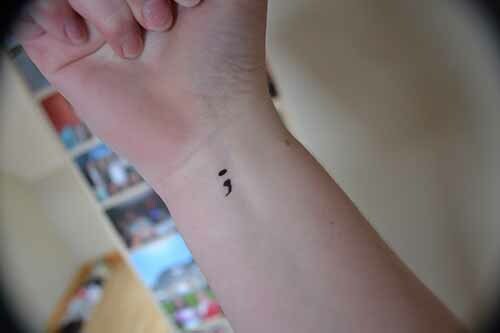 Plus Sign: this simple sign has a simple meaning: it’s quick reminder to stay positive. 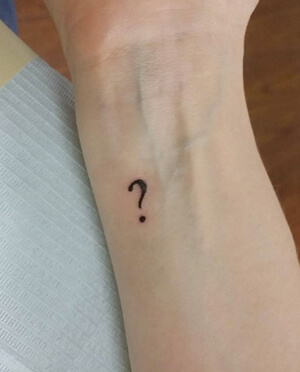 Question Mark: this tattoo design is worn by the philosophical, questioning minds, who take a critical approach to problems and their value systems. 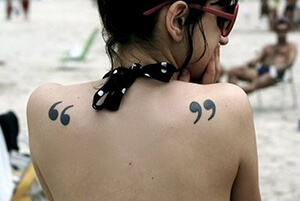 Quotation Mark: a pair of quotation marks with no words in between them convey the message that life is unscripted. Punctuation and math symbols are central to our communication. 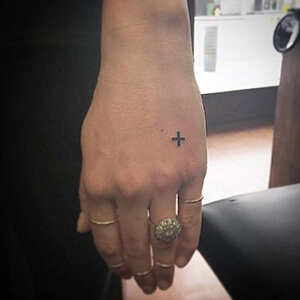 Since their meaning is so essential to the completion of daily tasks, these symbols make compelling tattoo designs for all. 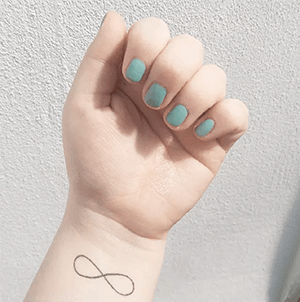 If you know of other interesting punctuation or math symbol tattoo designs, let us know about them in the comment section below!